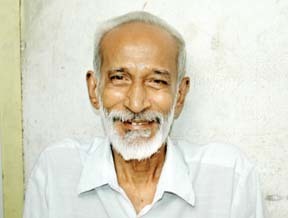 Mr. Kalayanasundaram worked as a Librarian for 30 years. Every month in his 30 year experience(service), he donated his entire salary to help the needy. He worked as a server in a hotel to meet his needs. He donated even his pension amount of about ten lakh rupees to the needy. Hat's off Kalayanasundaram.. We Indians are extremely proud of you and proudly say "THIS HAPPENS ONLY IN INDIA"